Some travelers like to stay in the city centre of the city yet they prefer lower prices. 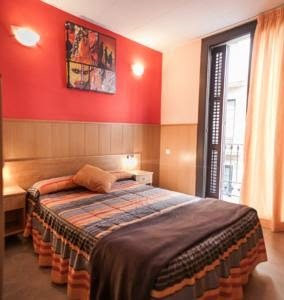 We think that it's the best idea to spend less on accommodation in Barcelona city in order to taste everything you see. So best pensions in Barcelona city will offer you best prices with higher standards. Especially if you are looking for pensions in the city centre of Barcelona then this article will help you a lot. Below you can find the cheapest and best pensions in Barcelona city located in the city centre. I hope after you read this article about where to stay in Barcelona you will be able to plan your Barcelona city travel easier. We will introduce some top pensions with lowest prices but in highest quality. All the pensions below are in the city centre. Enjoy the tour and choose the best for you. Staying in a pension which makes you feel the atmosphere of this ancient city, Barcelona. 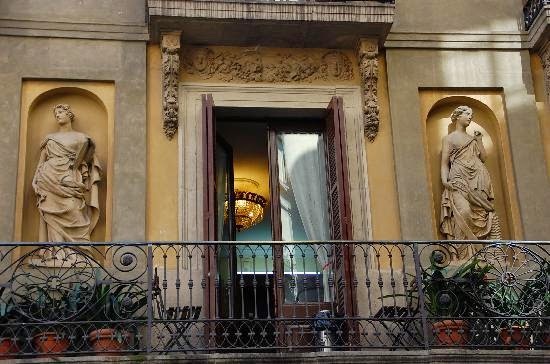 In the heart of the city, Pension 45 stands with its all historical look and makes you think that you are really in an old city in the 21th century. So when you choose your accommodation in Pension 45 you will feel like locals. 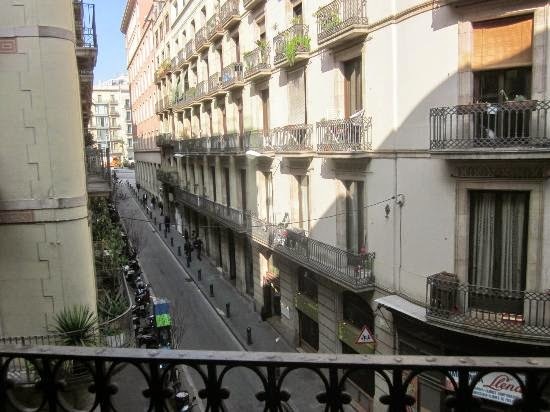 Pension 45 is located at Ciutat Vella which is just one street back of the city centre. From the windows you see the main street. It is just 50 meters away. From the balcony the side streets look really lovely and worth to watch while you drink something. What are the Pension 45 facilities? There is free wi-fi but a little slow. There are single and double room options beside you can choose a room with a bath shared or sink inside the room. There is no breakfast service. Front desk is at your service 7/24. You may have a little trouble as person at front desk doesn't know English too much but be sure that they will do their best for your comfort. At night, it gives you a romantic scenery. It is only two minutes away from Las Ramblas. You should be aware of that there can be noise at nights at the pension. Besides, the pension prices are reasonable but you shouldn't expect too much high standard. Per night you may pay between 30 and 90€ according to person number and room facility options. Pension 45 is cheaper than most of the pensions and stands in the city centre. So if you aren't looking for much luxury then this pension can be a good choice to stay. For accommodation options in Barcelona city continue to follow your Barcelona city guide. We will give information about many more cheap pensions in Barcelona city which are at the heart of the city. We would like you to be able to plan your best holiday in Barcelona and enjoy the tour in the city. So we will try to describe lots of cheapest pensions in Barcelona city. Places to stay in Barcelona are ready for your trip. For more information and reservation you can contact to Pension 45.